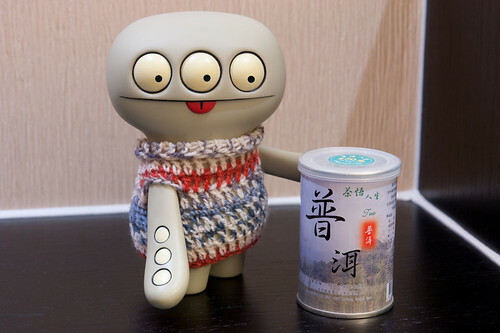 Uglyworld #2113 - Tea In Beijings - (Project Cinko Time - Image 312-365), a photo by www.bazpics.com on Flickr. Todays me and Baz hads another flighter in a bigger metal budgie, this times though we stayereds insides China, as we hoppereds a couplers of hours North to Beijings as Baz has some special workies to does up here at the starts of nexts weeker. Afters the long travellerings, I was so happiers to find some tea waiterings for me in the hotels room in Beijing, rockers on!